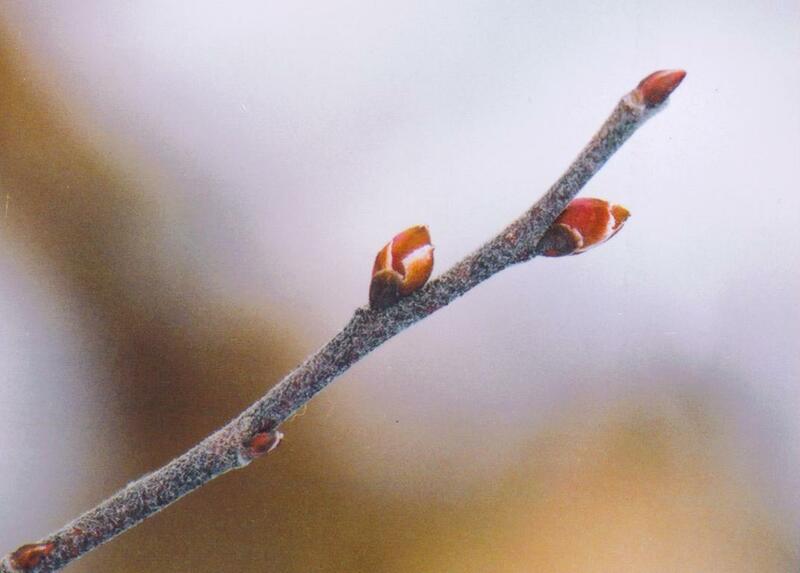 Even in February buds on several woody plants were beginning to fill out. By March this is clearly evident, for example on blueberry and huckleberry bushes. And the evergreen ground-plants, if they've had a decent covering of snow during the coldest days of the winter to avoid damage, are now developing their buds. 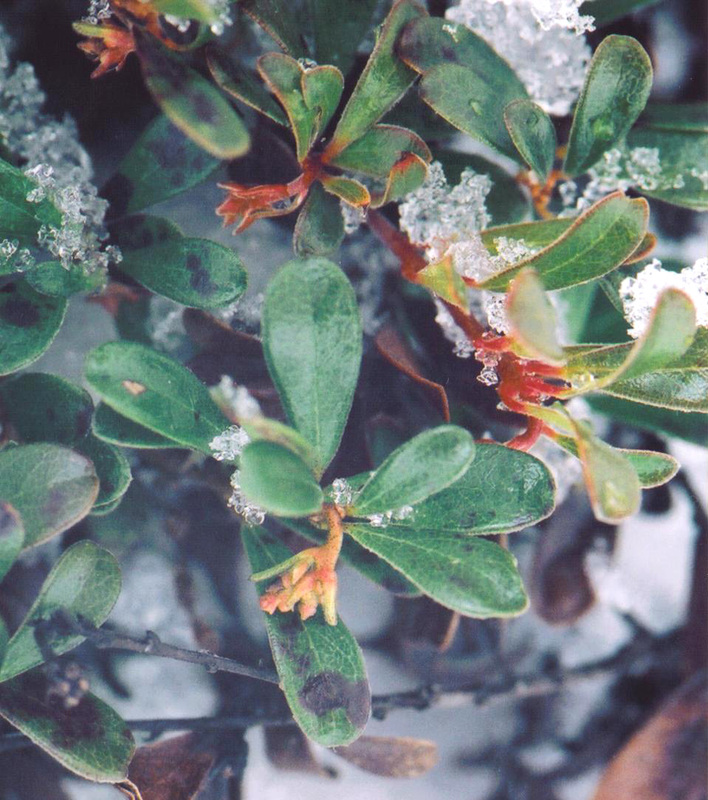 Bearberry, for example, is filling out its flower buds ready for blooming in late April. 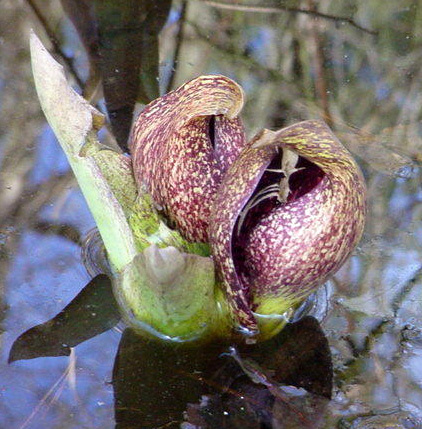 Skunk Cabbage can be seen at the water's edge of streams or in swampy areas where water is flowing through. It has been blooming by early March in recent years, and as such is the first non-woody plant to bloom in these parts, but ‘bloom’ hardly seems the right word for a flower that would not win a beauty contest, made worse with the skunk-like smell if the plant is crushed. The flowering-body, called the spadix, looks to me like a Faberge egg sitting in its little housing called the spathe. See photo below. It is related to and has the same structure as an arum lily. The bad smell and even look of rotting meat attracts flies, some of the few pollinators around so early in spring . Later, very large bright green leaves develop. March 20th or 21st (depending on the year) marks the offical beginning of spring. But with our latitude here in the Boston area at 42 North the literal equinox – i.e. when the length of day and night are exactly the same – occurs four days earlier when the sun rises at 6.53am and sets at 6.53pm on the Summer-time clock. From then on we can really feel the growing strength of the sun and both plant and animal life will take advantage of the greater amount of sunlight. On warm days keep an eye out for the Mourning Cloak butterfly - a big dark brown job with creamy-yellow edging. But not all activity is during the day. 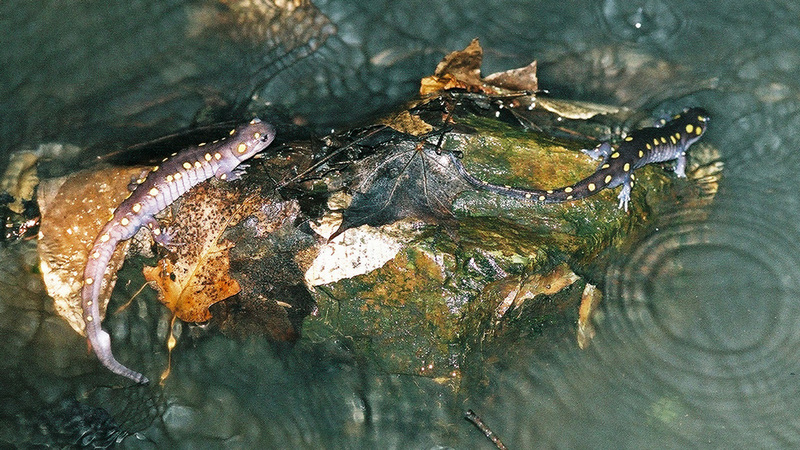 On reasonably mild, damp nights, salamanders gather at vernal pools in the Fells to congregate and inseminate. According to experts the temperature needs to be above 40 F and raining, and after dark. They're a bit shy :-) This used to occur in Mid March, but in 2017 it is possible that with the very warm weather in late February that this happened on a record early night. Here is a photo that I took one night in the Fells near the end of March. 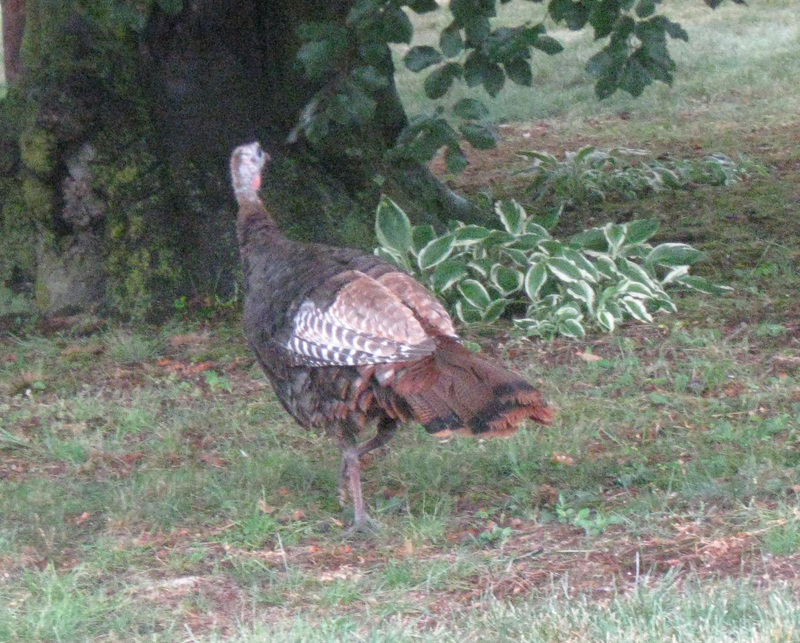 Wild Turkeys are also about in the Fells this time of year - their mating season.